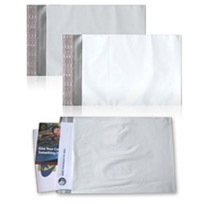 Poly Mailer - 9" x 12"
Our 9" x 12" white Poly Mailer contains 100 envelopes per case. Poly Mailer - 9" x 12" Poly Mailer - 9" x 12" Poly Mailer - 9" x 12" Poly Mailer - 9" x 12"
Always easy to order, quick to ship and consistent quality. I always come back. Perfect solution at an excellent price. Fast service. Excellent product. Will do business again. Ordered another size of the poly bag mailer for our company other than the 6x9 that we were already using from AVG. Ordering was easy, mailed out quickly and in our hands just as we needed. Thank you.